Berber name for this lighting that highlights a particular interplay between the light wood of the natural ash and the electrical light, resulting in three-dimensional light and shade effects. 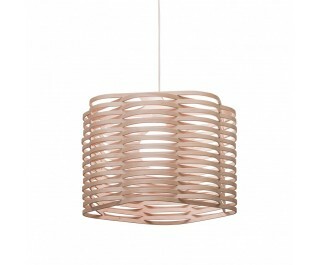 It sways flexibly, therefore varying its light effects in motion. Supplied with European certification.